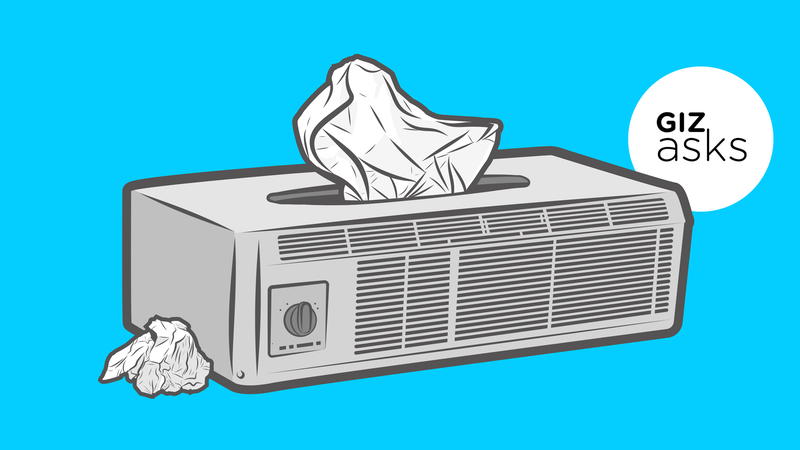 Can You Get Sick From Air Conditioning? Giz AsksIn this Gizmodo series, we ask questions about everything from space to butts and get answers from a variety of experts. At the peak of summer, when just walking to and from the corner store necessitates a shower and a change of clothes, air-conditioning can seem almost too good to be true. It is one of the few staples of modernity without severe and readily apparent downsides: all it does, or all it seems to do, is make things cooler, while generating a soft, lulling noise redolent of childhood afternoons spent indoors watching cartoons. What’s the catch? How exactly are these things slowly killing us, like every other good thing in the world? For this week’s Giz Asks we reached out to a number of biologists and occupational and health scientists to find out whether A/Cs can make you sick. Which, as it turns out, they very much can—though it happens rarely, and the cost-benefit analysis here suggests you can safely keep yours around, as long as it’s not filled with mold. It’s rare. The big issue comes down to the condensation, and the potential for biofilms to develop inside the air conditioner, and for the fan to disseminate those bacteria into the air. There’s also an issue because of the moisture: Some of the older air-conditioners had condensation pans, where the water would just collect, and sit there. Mold’s another issue—exposure to it can trigger an allergic response, and potentially a respiratory infection. But the vast majority of documented cases are not outbreaks: they’re isolations of bacteria or biofilms. It depends on the disease, and the air-conditioner. What disease? And what air conditioner? Firstly, ‘air conditioner’ is a pretty broad term. We are probably most aware of ‘dry’ air conditioners. The reverse-cycle air conditioners in homes do not use water and release dry air. From a disease point of view, this makes it very hard for microorganisms (bugs) to survive. Bugs do all their business in water—so bacterial diseases from ‘dry’ air conditioning never really happen. The system itself is too hostile for them to survive. So dry air-conditioners do not cause disease. Wet air conditioners are less familiar to us. Mostly they use water to cool air by evaporation. The ‘straw box’ type coolers on your roof are good examples of these. But larger buildings use a more complex system that recycles water through a device and uses the cooled water to cool a refrigerant which in turn cools the air. It’s very similar to the air-conditioner in your car, which uses the radiator to cool the refrigerant that gives you cool air. These are called cooling towers, and almost every large building has one (or more) that provide air conditioning. Of course, once you have a ‘wet’ system, then bacteria and other bugs will grow. This is mostly where the problem occurs. Water that is used for cooling gets warm, and collects dirt from external air (read that as ‘bug food’) that makes it ideal for their growth. Because these systems need to have an exhaust, the wet air is blown into the environment. The bugs are then carried in the moist air. Depending on the bug and the person breathing the moist air, this can cause disease. 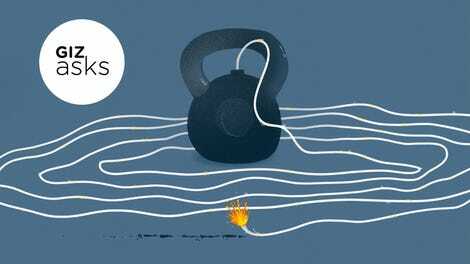 Legionnaires’ disease (caused by Legionella bacteria) is probably the best example of this. Air from wet air conditioning systems is inhaled and causes infection in susceptible people. Not everyone gets sick—just those whose health is not the greatest. Outbreaks from ‘cooling towers’ can affect hundreds of people because the moist bug-filled air can travel kilometers away from the source and be inhaled. Interestingly, most people who get ill are outside the building. The air-conditioned people inside the building are not infected, because they don’t breathe the exhaust from the cooling tower. So Legionnaires’ disease is the high profile bug that causes disease from wet air conditioners. The classic one, of course, is Legionnaire’s disease, which you would get from big air-conditioning systems. It was first described in Philadelphia, at what was called the Bellevue Hotel—the water system was contaminated with Legionella organisms, many people got sick, and several died. But individual room air-conditioners can also cause people problems. When I was a fourth year medical student, doing an elective at the National Cancer Institute, I learned about a young man with leukemia who was being treated there. He would come into the hospital with a fever, there would be concern that he had an infection, they would treat it vigorously for a couple of days with antibiotics, and then his temperature would come down. They couldn’t find any source of an organism, so they would send him home, and he’d very quickly get sick again. Finally someone paid a visit to his home and found out that the air-conditioning system was loaded with bacteria and fungi, and he was responding to that every time he went home with a fever spike. So individual room units can put out bacteria and fungi that people can get sick from as well—but it’s pretty uncommon. If it was common, considering all the air-conditioning systems we have in the United States, a lot more people would be sick from it. And you have to balance the risks. There’s a normal, predictable death-rate in the United States, but the two things that will spike it are a particularly bad flu season in winter or a prolonged heat-wave in summer. Air-conditioners can protect people, as well as make them sick. Yes: air conditioning systems can make you sick. Mostly because of the growth of microorganisms, including Legionella, in the water systems that are used in cooling air. This can occur with other water sources too—Legionella outbreaks have been linked to many sources, including spas and an aquarium. The question that really matters is: how likely are you to get sick from an air conditioner? There are hundreds of millions of residential and commercial air conditioners in the US. Think how often you go into a cooled building. In 2016 the Centers for Disease Control and Prevention (CDC) reported about 6,100 cases of Legionnaires’ disease (although public health officials think this is likely an undercount of true cases) in the US population of about 320 million people. That suggests the risk of a random person getting sick is pretty small. It is important to note that CDC says the risk is not evenly distributed, with people over 50, current or past smokers, and those with weakened immune systems or chronic disease at greater risk. Do you have a burning question for Giz Asks? Email us at tipbox@gizmodo.com. Can You Get a Disease From a Toilet Seat? Why Is My Face Changing Shape as I Get Older? Why Does Exercise Start Hurting Two Days After a Workout? Why Do We Have Butts?